Working in a company that provides shared services can make it challenging to ensure that everyone has fair and sufficient access to the services in question. 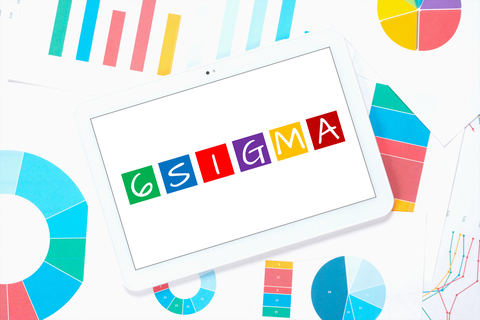 Things can become particularly difficult when those services are critical to everyone’s success, and when you want to make sure that the job flows smoothly and without any interruptions, Six Sigma is often a great choice that can help quite a lot. A common issue that can arise in a shared service organization is that some departments are resource-starved, while others have more access to the same resource than they would ever need. This can not only be hard to plan ahead for, but it can be just as challenging to address once it’s been uncovered, and it’s a problem that can completely bring down your shared services operations. Thankfully, it’s also the kind of problem that Six Sigma is perfect for resolving, as long as it’s applied correctly. You’ll want to make sure that you gather enough statistical data about your operations before implementing any changes like that though, otherwise this could backfire and trick you into pushing things in the wrong way. This brings us to the next important point when working in a shared services organization – you have to gather enough feedback about the way things are going, both manual and automated. Manual feedback can be easily integrated into your operations through some forms that employees have to fill out or a similar system, and this is a popular solution among many organizations where shared services play a central role. On the other hand, gathering automatic feedback can be a bit more difficult to set up at first, but it tends to run much more smoothly than its manual counterpart in the long run as long as it’s done right from the start. Make proper use of the various systems available on the market today, and you should find that it’s quite easy to keep an eye on the way things in your company are going, and how well everyone is able to use your organization’s shared services. You must also develop a system that allows for changes from above to be propagated to lower levels easily, and shared across the whole organization with ease. Don’t underestimate the importance of this element of implementing Six Sigma into your workflow, as it can actually turn out to be the most critical one in the long run. Simply put, if it takes too long for changes to get reflected on every level of the company, this can lead to various problems down the road, especially when different services potentially clash with each other due to incompatibilities. This is a situation you obviously want to avoid, and the best way to do that is to ensure that you have some viable centralized system for sharing changes across the organization, and stick to its use as much as possible in daily operations. If you can use this system for distributing all kinds of resources across the organization, that would be even better, as it would open up the doors to even more optimizations, all of which will be tightly centralized in one specific spot. Shared services can change the way an organization works for the better in multiple ways, but it’s a concept that has to be approached carefully and with a sensible attitude in order to get the best results. Otherwise, you might end up in a situation where even though resources are available, they are not being allocated across the organization correctly, leading to lots of issues between departments. The post Six Sigma Best Practices in Shared Services Organizations appeared first on Shmula. Does Lean Six Sigma Have a Place in Sports?